The wedge is one of the most important tools in a golfer’s bag. In fact, you will probably use a wedge of some sort for about 25% of all the shots you make, according to GolfALot.com. The selection of wedges out there can be overwhelming, and the varied price range and types of wedges can be tough to pick from, which is why we created this in-depth guide. We want to assist you in getting the right kind of wedge for your needs, no matter what your budget or playing style. Read on to find out how to pick a quality wedge. We have shown you what to look for and how to look for it, and now we want to show you 10 of the best golf wedges available. These are all being sold right now, and we are going to look at a range of price points, so no matter what your budget may be, you should be able to find a decent golf wedge for yourself. 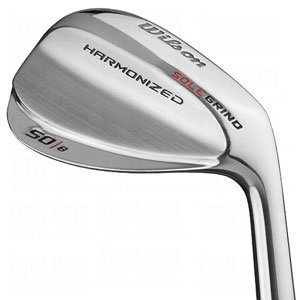 Wilson makes a high quality wedge that isn’t expensive at all, but it is something that you should get a lot of value out of. There are lots of options here for bounce angles, so you can get a few of these if you like the first one and fill out your collection with a few wedges that are all of high quality. This is definitely a stylish wedge, with a beautiful finish and a strong, clean look. It’s not overly flashy- it simply looks professional, and it plays professionally too. You’ll benefit from the sole grip feature that lets you hit shots very high while still retaining accuracy. The blade shape allows you a few different bounce angles, which makes it great for hitting the ball from various rough areas on the course. It’s surprising how much value is on offer here at the affordable price point. The sole problem with this wedge is the grip, which isn’t as good as some of the competition, and you may want to replace it after a while. Great for hitting from a variety of areas. Comes in a few different options. Great value for what you pay for it. Pinemeadow makes some of the best wedges, hands down, not even considering the price you pay. 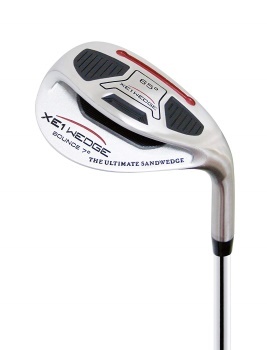 It’s one of the more affordable wedges, and yet it is one we would recommend to both amateurs and experts alike. Professional golfers still get a lot of use out of a simple wedge like this, and newcomers don’t feel alienated by something that is tough to control and hit accurately with. This club is made from high quality steel and has a large face to ensure that you don’t miss shots very often or slice them at an awkward angle. 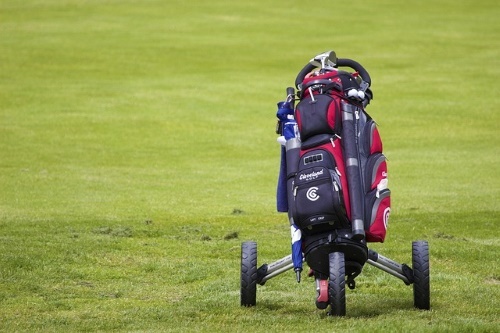 It comes in a range of different angles, for your convenience, so you should have no problem finding one that works well for you, and you can fill out your bag with all the quality wedges you need at a good price. The weight may feel off to some players, and even though this wedge can give them some good height, it doesn’t have the kind of impact more experienced players may be looking for from a wedge. The club can start to look banged up pretty quickly as well, depending on how you play, because even though the club is made out of sturdy materials, the paint isn’t as tough. Easy to hit accurately with. Not much weight to it. 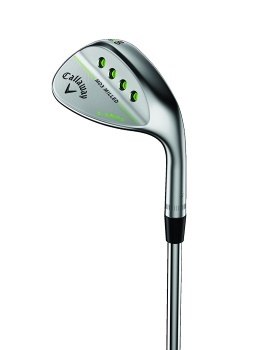 We have looked at some of the more budget-priced wedges, and now let’s look at something that is more expensive. This wedge from Callaway is high quality through and through, and there is no doubt that it will last you a long time no matter how often you play, but you do need to realize that you are paying four or five times as much for it as the other wedges we have listed so far. The downside to that is that you don’t get a lot more features that will make it worth it for the extra cost. The flexibility on this wedge is stiff, and if that bothers you, then please take note. It’s made from steel and designed to give you three grinds for each shot. It’s one of the more versatile wedges, just because of the way the face is shaped. That can make it tougher for inexperienced players to use, as they may not know how to hit the ball from different angles yet, but experts and longtime players will find a lot to love and will get a lot of out of this wedge. Made to be long-lasting and durable. Very versatile in how it can be used. Offer features that experienced players will appreciate. Not very friendly for newer players. The price is almost indefensible for inexperienced players. 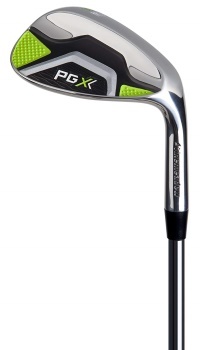 This is another high end golf wedge, though it is not as expensive as the Callaway option. Expect to pay less than $100 for this one, but you should still get a lot of play from it. There are limited bounce angle options to pick from and a wedge flex to take into account. It can be used professionally, which should go without saying for most golf wedges, but there are always some manufacturers who care more about making a flashy club than making something that you can play pro with. 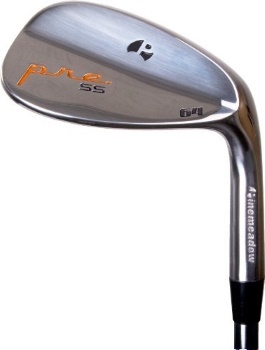 This is probably the most reliable wedge being made right now at this price point. It won’t exactly cost pocket change, but if you want something that you can depend on for years and that can be used at any level of play, then this is the one to go with. Top tier value without a top tier price. Easy to use no matter your skill level. May cost more than newcomers are willing to pay. 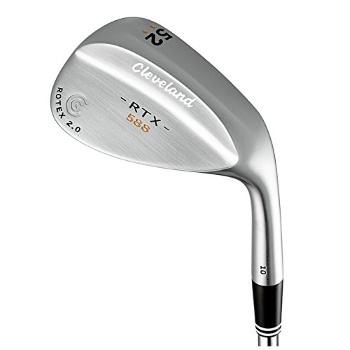 This is another Cleveland wedge that follows the tradition of quality and craftsmanship that the company is known for. It retails for right around $100, though the prices vary depending on where you buy it from and whether there is a sale going on, of course. The angle options are more limited with this one than with some of the other selections we have looked at, but most people will still be able to get an angle that suits them. It offers a 52 loft and provides a very consistent hitting standard thanks to some micro-tuning that prevents mis-hits. Easy to make consistent hits. Some limited options for bounce angles. 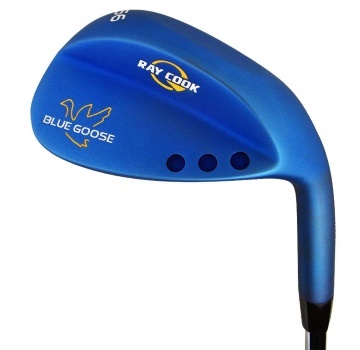 Ray Cook may be a lesser known name when it comes to golfing equipment, but they still offer a highly-rated wedge that can be indispensable for some players. It plays a bit differently than some of the options we have here, so you may find that you prefer it to one of the bigger brand names. You only get a few bounce angle choices here, and only right-handed players will find a wedge for them from Ray Cook’s selection, but otherwise, this is a solid choice. The wedge is made from steel and designed to be long lasting. The rubber grip may not be to everyone’s liking, but it is a decent grip and not one you will feel like you need to replace right away. The club has a nice weight and feel to it for most golfers, but some will find that it has trouble getting the ball up very high. One of the better grips for golf wedges on this list. Steel wedge will last a long time. Not a lot of height. Here is another Pinemeadow selection for you, and this one is every bit as good as the rest of the company’s lineup. It’s just as affordably priced and made from steel. It features regular flex and a few different options for bounce angle. The wedge sole is in the mid-size range, which lets you play the ball from any angle, and the standard Pinemeadow grip is serviceable but not fantastic. It’s a slightly above average wedge overall, at a below average price, which makes it a great deal for the inexperienced players and pro golfers alike. Made for all golfers no matter their skill level. 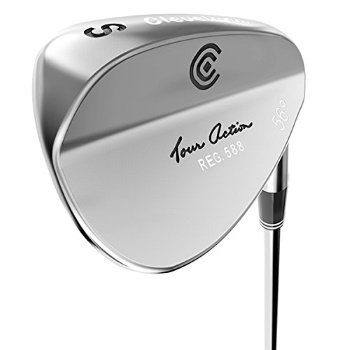 The mid-range price may scare off newcomers to the game, but this is an excellent wedge for certain situations, just not a great all around wedge. If you have trouble hitting certain shots with the wedges you already have, then this is probably what you want to try. It’s an excellent troubleshooting wedge that can hit the shots other wedges just can’t handle, and it is solidly constructed and designed to last you for a long time. This is a short shot club, so save it for when you need to hit low and light, as it won’t be able to pull off those longer shots. Once you know what to use this wedge for, it is a great addition to any set, but it isn’t exactly newbie friendly. Perfect for those hard-to-hit shots. Great for playing on rougher surfaces. Made more for experienced players than newcomers. Really only good at short shots. Cleveland gives you a wide range of bounce angles to pick from here, so be careful that you don’t get something you already have in your bag. If you are having trouble hitting certain shots, though, then there is probably a great wedge for you here in their lineup. The super refined groove shape of the wedge face ensures there is more backspin on the ball, and if you are looking for that, then this club is the way to go. 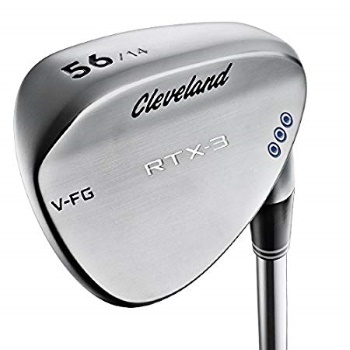 Even if you haven’t liked the other Cleveland wedges, don’t dismiss this one out of hand. It has a different feel to it that makes it fun to use and boosts your accuracy on those longer hits. Great for those who want to improve their accuracy. A great game booster for struggling golfers. Better for new players than pros. May have too much backspin for some players. [sHere is another budget-priced option from Ray Cook. It only comes in two bounce angles, so be sure you don’t already have similar club in your bag. The wedge is specially designed to help you hit straighter shots and avoid twisting as you impact the ball, thanks to the excellent grip and carefully chosen weight. It has a great feel to it that makes it a pleasure to play with. If you have had trouble getting your shots to hit straight and true, then we suggest giving this a try. You might just be surprised at how much it improves your game. Priced for newcomers to the game. Having the right type of wedge is essential for different shots. Certain wedges are designed to be used in specific situations, and you’ll want to select the right one if you are going to make that tricky shot. Just as important as selecting the right kind of wedge is selecting a quality wedge. Even if a particular wedge is made to hit a specific kind of shot, that doesn’t mean it will actually work well, and you have to be careful about the quality of the wedge you are buying. Some of them are made with substandard materials or are not well designed and would give you trouble in hitting the ball to the same spot each time. A poor quality wedge can be inconsistent, and while it may help you make a certain kind of shot, your accuracy could be all off. That’s going to frustrate you and keep you from enjoying the game like you should or getting the score you are capable of. If you don’t take the time to research the wedges you are buying, then you can end up with wedges of varying level of quality, and you won’t know until you get out on the green how well the wedge is working for you. If you are an inexperienced player and you buy a low quality wedge, you may suffer from its ineptitude and simply think that you are the problem. No matter how you play, your game isn’t going to improve with a low quality wedge, and you may not even realize that is the issue, which is why it is so important to choose the right wedge from the start, and we want to help you do that in this buying guide. Versatility– You’ll want a diverse set of wedges in your bag. Most pro golfers have four different wedges in their bag- each one for a different kind of shooting situation. According to Golfweek.com, you need a variety of wedges so that you can hit different distances on the green. Having just one or two kinds of wedges limits you too much and makes it harder to hit certain shots. 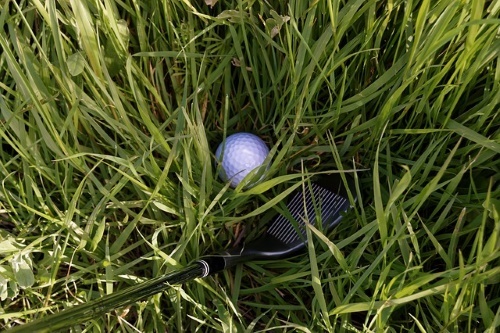 Durability– It should be a given that golf wedges are going to hold up, but some of them are made with substandard materials or are not put together very well. The parts may be high quality, but what holds them together may not stay together very well. Or the wedge could bend or warp due to poor design and construction. These are all problems you can avoid simply by choosing wedges that are made well. Look for signs that a manufacturer stands behind their products, such as extensive warranties (three months isn’t very long, but a year is good) and money-back guarantees. Bounce Angle– Understanding how different wedges work is a big part of choosing the right one. The bounce angle refers to the angle from the club’s so to the leading edge, says American Golf. Knowing when to use a certain degree of bounce is crucial when you are out on the green, and you’ll have to have the right wedges in your bag to be able to do that. You want a variety of bounce angles to work with, so if you buy multiple wedges, be sure that they have different bounce angles, as that allows you to pull of different shots and hit the ball at different heights and distances. Your Hitting Style– Are you hitting long shots consistently? Then you’ll want a different set of wedges than someone who hits shorter shots most of the time. The way you play the game determines what kind of wedges you should be using and even how many different types of wedges you need. Not everyone needs four wedges, but you at least need to have a couple that play to your strengths and that allow you to make a few different kinds of shots from different locations on the green. Golf Monthly experts say that you should pick out four different wedges if you hit shots consistently greater than 280 yards. Cheap Wedges– First and foremost, you don’t want a wedge that will either fall apart or warp on you or won’t hit at the angle it is supposed to. It is one thing for a wedge to be inexpensive because it is made out of cheap materials, and it is another things for the wedge to hit at angle other than it is supposed to because the manufacturers didn’t know what they were doing. Read the customer reviews to find out what kind of experiences people have had with the wedges you are considering. You want to be sure you are buying a quality wedge that will not only hold up under repeated play but will also play the way it is supposed to. The Same Wedge– You don’t need more than one version of the same wedge. You may have a wedge that works very well for you and want to add another to your bag just to give yourself a lot of great club to work from, but you’re taking up valuable space in the bag that could be used by a different kind of wedge that would be more useful. Each kind of wedge you buy should be different. If you need to upgrade one of your older wedges, then be sure to remove it from the bag when you get your new wedge to keep your bag diverse and filled with the right tools for any situation. The Wrong Size- Just because a wedge is garnering great reviews, that doesn’t mean it will be a good choice for you. You need to look at the size of the wedge and who it is made for. Some are made for men and others for women, and that usually means the wedge is lighter or longer depending on who it is for. If your arms are exceptionally long or short or you are exceptionally tall or short, then you need to be careful about the wedge you buy. You’ll have to ensure that you choose one that is meant for your particular measurements, because the wrong size of wedge can be difficult to hit with and may give you trouble in keeping your hits accurate. Pay attention to the sizing and how it applies to you. With many wedges, there are a few different sizing options, so make sure you choose the most appropriate one for you. Buying only Wedges that Match– It’s tempting to have a golf bag filled with wedges, irons and woods that are all matching. You may want your clubs to all be from the same manufacturers, but you have to realize that the same manufacturers who made the best iron for you may not make the best wedge for you, and it’s important to diversify your selection if it gives you the best collection. 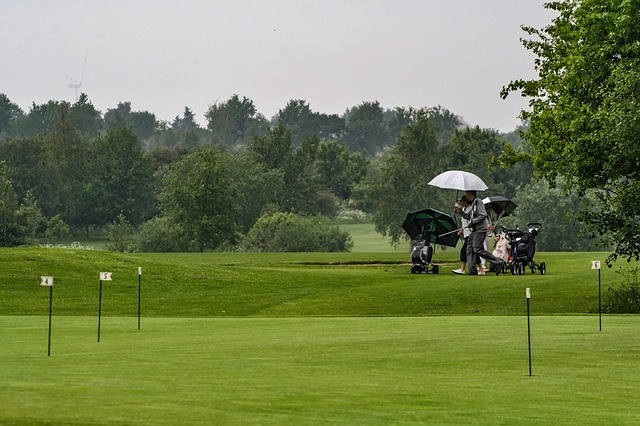 If you are serious about improving your golf game and playing the best game possible, then you will overlook uniformity in your clubs and just buy what is best, regardless of how it looks. More people than you might think get caught up with this common mistake, and it’s one that you can easily avoid by not being brand loyal or needing your wedges and clubs to all match. We have taken you though the list of wedges we think are the best on the market today, but you can find others that are of decent quality as well. We hope this guide has been helpful to you, and even if you don’t go with one of our selections, you should at least know what to look for and how to find the best golf wedges for your play style and budget. Keep in mind the pointers we listed here, as they will help you to avoid buying something that you regret later or that doesn’t work very well for you. 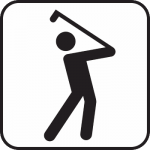 If you would like to learn how to shop for any other golfing gear, be sure to check out our other articles on other golfing products.